“The mother was extremely moved by the support from the HCCEF. Not only did it permit her to purchase necessities for herself and the children, but also the gesture was a clear message that she and her children are valued members of our community. The mother has been very communicative with both of the schools attended by her children and is increasingly open regarding the family’s struggles (they recently left an abusive relationship). HCCEF was able to help this family, thanks to people like you who support the HCCEF Student Guardian Program! You made this happen. You helped this family with their financial barriers to education…congratulations and thank you. Our fiscal year ended on March 31, 2018, and you helped over 200 hundred students in need. You have also helped over 400 students in the past 2 years and over 650 students since we start the Student Guardian Program in 2012. That’s 650 children who were given the opportunity to overcome financial barriers to their education. Poverty affects the health of students! Thank you for your kindness and your generosity…it has helped to improve the health of those in need in our community….well done. 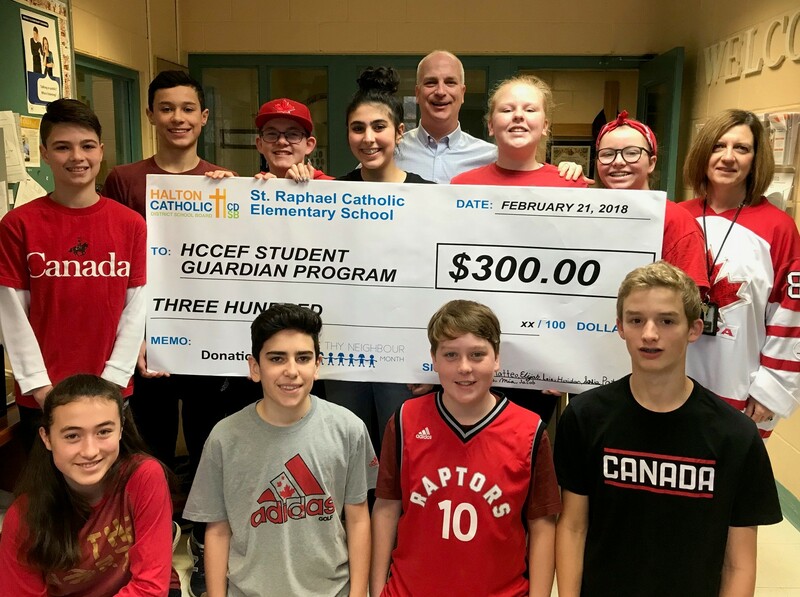 HCDSB Schools already do so much for students, but when they were asked to help HCDSB students and families in need, boy did they ever “step up to the plate”. In the month of February, HCDSB Schools were invited to participate in “Love Thy Neighbour Month”. 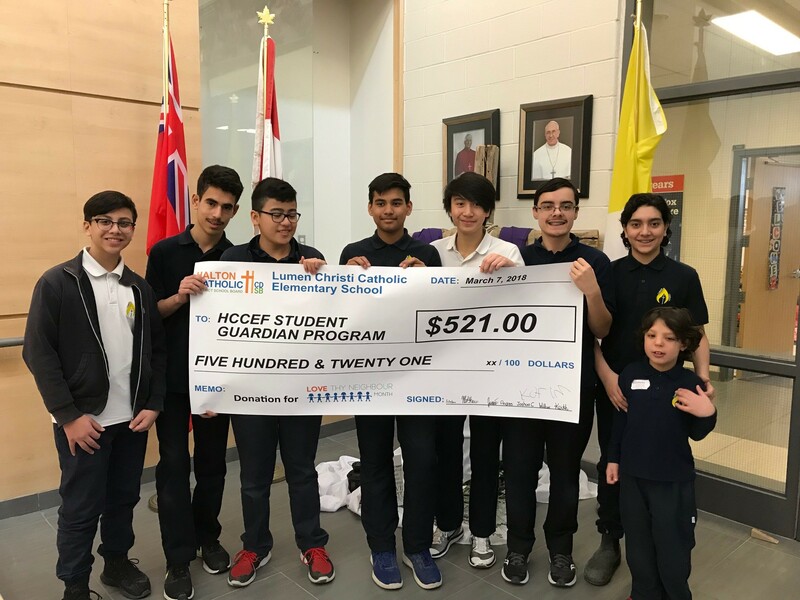 They ran all sorts of events, including Olympic Days, spirit days and Cake Walks…all to help those in our community who needed some compassion – students in need. 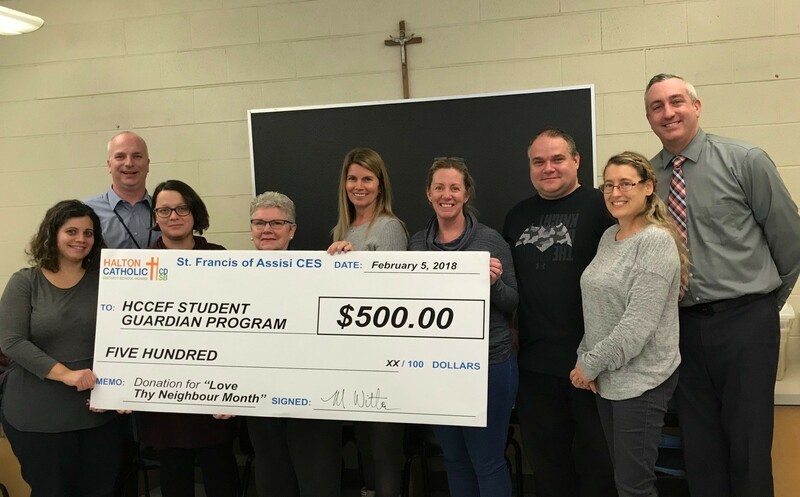 Also, as part of the month, dozens of people either participated in or donated a pledge to the HCCEF 24 Hour Fast (Feb 15-16) to mark the start of Lent and to support students in need. Thank you! If you were not involved this year, we would love you to join us next year. 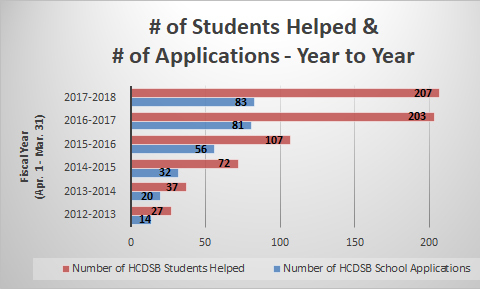 Thank you to the HCDSB and Halton communities! For 6 years community members have had a great day of golf and fun … all to help Halton students in need! Last year over 100 golfers, sponsors, donors and volunteers to help raise over $20,000 – what an amazing day! Registration is now open for the 7th Annual HCCEF Charity Golf Classic on Wednesday June 6, 2018 at Hidden Lake Golf Club, Burlington. We’re looking for golfers, sponsors and prizes. I hope you will be able to support Halton students in need with their financial barriers to education. Not able to make it? Why not consider making a donation to support the cause – donate online. If you want to see pictures from the 2017 event click here. Register online or with a printable form. A great big thank you to the Ex Corde Foundation, who recently donated $5,000 to the HCCEF Student Guardian Program. Students have a hard time concentrating on school when they are worried about being hungry or being able to meet other basic needs. 13,000 children in Halton (10.5 % or about 1 in 10) are living in low-income households, and are not able to meet their basic needs. 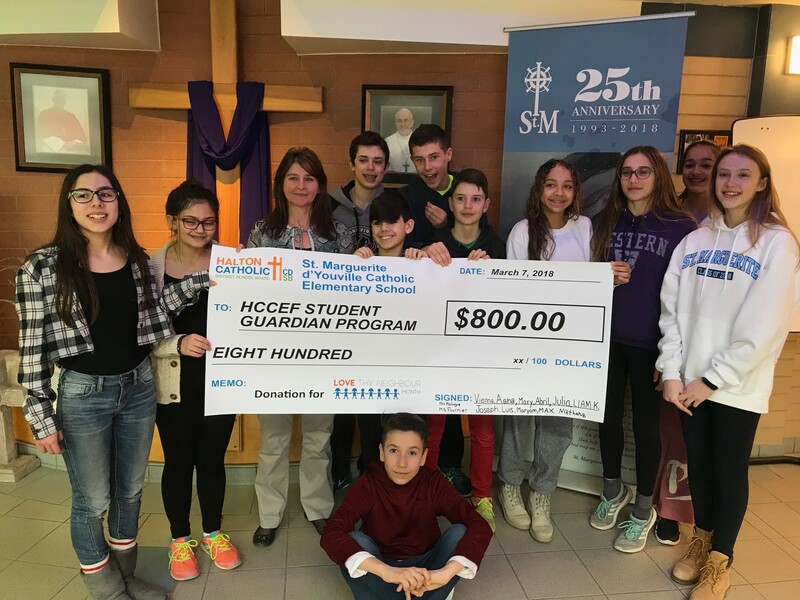 This 10.5% rate would be approximately 3600 HCDSB students living in low-income households. This wonderful Ex Corde Foundation donation will help some of these 3600 students with their financial barriers to education. As of December 2017 only 42.8% of the children in Halton who were eligible to receive free government money to help pay for higher education have received these funds. That means, over 20,00 eligible children in Halton who have not yet accessed this free money for post-secondary education. That’s more than $40 million in free money for post-secondary education that we can bring to Halton if we register every eligible child. Studies show that the existence of educational savings makes a child 50% more likely to pursue post-secondary education. Help make education a possibility! The Canada Learning Bond (CLB) is a Government of Canada program that provides $500 in education money to children born on or after January 1, 2004 whose families receive the National Child Benefit Supplement. The Government will add $100 more every year your child is eligible, up to age 15. Your child could get up to $2000 (plus interest) in RESP contributions! NO family contribution is required. Back for its 8th year. A wonderful evening to reconnect with friends, to make new acquaintances and to meet the Most Reverend Douglas Crosby. Book November 7, 2018 in your calendar. We are an independent charitable organization registered with the Canada Revenue Agency. We are governed by a volunteer Board of Directors. 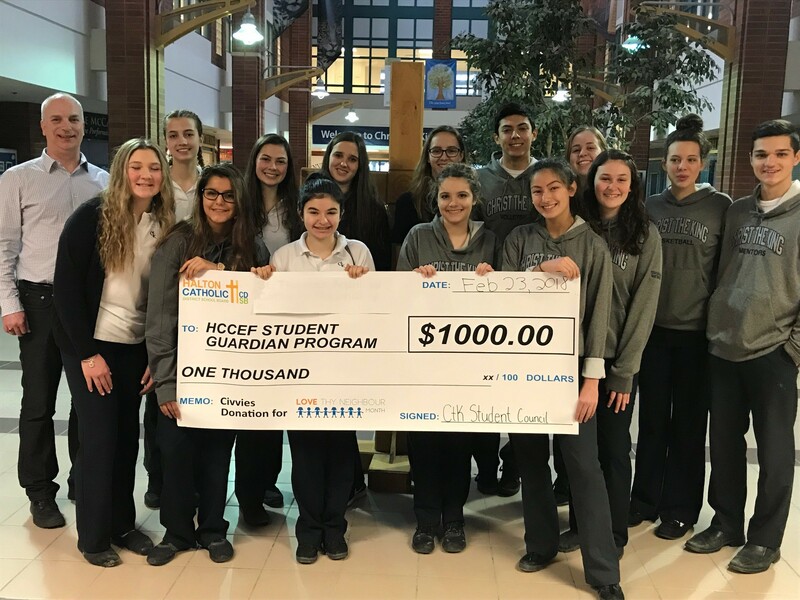 We partner with the Halton Catholic District School Board (HCDSB) to help their students in need, through the HCCEF Student Guardian Program. The program offers students & their families financial assistance with basic necessities like food & clothing as well as being able to participate in all aspects of school life (i.e. school trips/experiences). Donors & supporters make this possible. 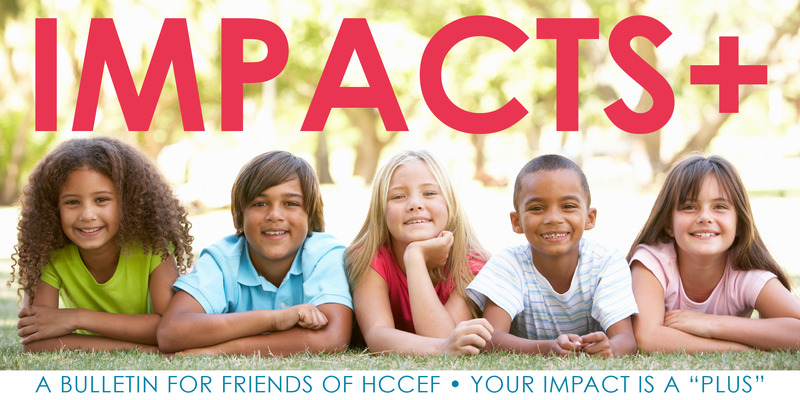 Visit www.hccef.org for more information. The need is growing – Donate today. We have signed the AFP Code of Ethics & follow the Donor Bill of Rights. HCCEF’s Audited Financial Statements – audited by KPMG each year.